The largest budgets in projects nowadays are spent on marketing. Why is this? Well, because marketing, getting your project out into the world and to your target audience, can make or break your release. What is Marketing and How Can You Market Your App? Marketing is a stage when you are working on a project where you advertise to your target audience or a wider audience. What Does This Mean For Apps? Marketing shares news about your app and [helps build fans]. It allows you to communicate with your audience revealing inside information and giving them an insight into your process. One of the biggest challenges when developing apps is discoverability. There were nearly five million apps across all the major app stores in June 2016. So if you want to get your app noticed, marketing your project should be a key part of your plan. Marketing to your audience gives you a way to speak directly to your audience. Although it’s quite common now, sharing the details of projects before launch is a relatively new concept. Previously, companies kept all the secrets of their products under wraps until the release day. But it’s now known that drip feeding information builds the anticipation of your audience. It also always keeps your project at the forefront of your audience’s mind. So when the launch day arrives, you have dedicated fans ready to buy your new project. As well as sharing information. You can also gather information from your audience. Marketing directly to your audience allows you to obtain feedback on your project from the very people you’re creating the app for. You could poll the audience for feedback on particular elements of your project so it’s tailored to their liking. And obviously, the more they like it, the more likely they are to buy into it and purchase it once released. 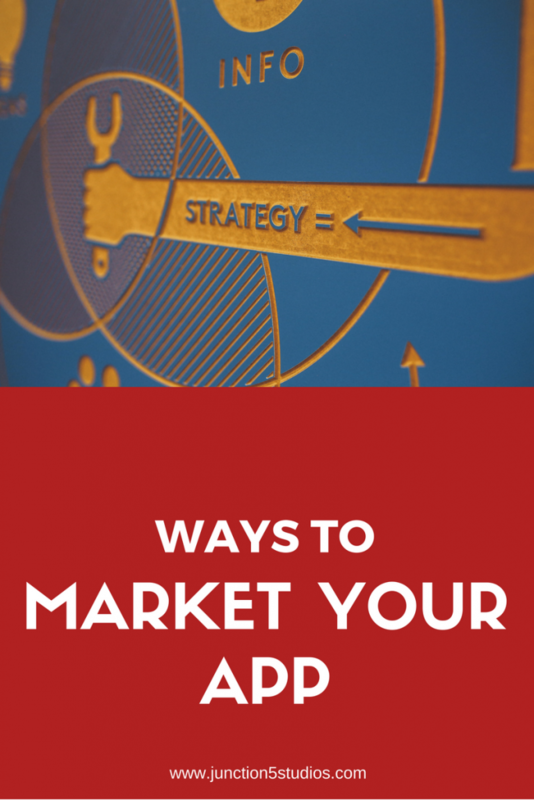 There are a number of ways to market your app to your target audience. Email marketing is used to communicate to your audience directly via email. After you have obtained your end user’s email address, you can send them targeted messages and information specific to their preferences. Building an email list is one of the most important tasks for any new business regardless of whether you have a product to sell to your audience yet or not. To do this, most people use online email marketing tools. Some of the most commonly used tools to help you with email marketing are Mailchimp, AWeber, and ConvertKit. Social Media marketing is communicating to your target audience using social media platforms. Facebook, Pinterest, Twitter, YouTube, Instagram and more are used depending on the message you want to deliver and what your audience uses the most. Each platform has different restrictions and ways to use them so the message you deliver usually has to fit in well with the platform you use. Knowing which social media platform your target audience is more likely to use is essential. Or you miss a large number of your audience by targeting an infrequently used platform. So how do you know which platform to target in the early days? The honest answer is you really don’t know. In the early stages it’s all about trial and error. See what bites. Test new platforms and see if you see an increase of activity from your posts or not. Ensure you tailor your content to make sure that your post suits the platform. It’s important to do this for a decent length of time to ensure your results are an accurate reflection. Some of the more commonly used tools for social media marketing aren’t in fact the direct sites. Managing lots of social media accounts is very time consuming add you could post the same piece of content just reworded twice a day for week. Luckily, some very clever people have built tools to help manage social media marketing. These tools not only allow you to send recurring posts but also let you schedule them ahead of time. The most common ones are Edgar, Hootsuite and Buffer. Yes, these also fall under the category of social media but they are becoming a section of their own because of the success that video is having. When people can see you, they feel like they are interacting with you personally. This is why there is an increase with the amount of video and live streaming services. These are the most common services YouTube, Facebook Live, Pinterest, Snapchat and Instagram. Landing pages are pages on a site to give small bits of information to your audience to encourage them to take the next step with your product. In early stages of product development, these can be used to give enough information in order to gather email addresses of anyone interested in the product. These addresses are then used to market directly to your audience via email at later stages in development. Landing pages can also be used to gather opinions via polls or redirect those that land of the page to questionnaires for more detailed responses. The most common tool to create landing pages I’ve heard of is LeadPages. Lead generation tools like LeadFuze and Infusionsoft help you by generating a list of potential customers for you to contact. They generate a certain number of customers suited to your specific target audience. This means you don’t need to do this manually. It can save you time so you are able to do something more useful to build your business. Using networking events, tradeshows and conferences to promote your app in person can be a unique opportunity to connect with your audience. If you have a working prototype you can let your audience test your app and gather their feedback. This early data can be invaluable when developing your app. Despite the infinite amounts of tech we have now, offline media sources can still be very useful in marketing to your audience. If these sources are what your audience use then utilise them. Offline sources like radio, newspaper adverts, news articles and news boards shouldn’t be overlooked. They may not be as widely used now that the more and more social media tools are sprouting up, but discussion boards and forum sites are still in use. They may also be a unique way to get the message about your new app to your audience. Podcasts are growing in popularity because people are commuting more and constantly on the move. If you can find a podcast that caters to the audience your app targets, try and contact them to see if you feature on an episode. You could do a relevant interview that would provide useful information to their podcast listeners and advise your all at the same time. Very similar to getting interviewed for a podcast, if you can find other blogs that your target audience use frequently then it makes sense to see if you could write a guest post for that blog. Again, keep in mind that you are trying to provide value to the audience of that blog first and promote your app second. Get out and talk about it! Marketing your app is a crucial stage that should not be overlooked. Communicating to your audience may be essential if you want to launch an app that your audience loves. There are many ways to share information with your audience, but don’t be overwhelmed by all the options. The important thing is to pick a few and stick to them. Focus your attention on them and gather as much information as possible in order to launch a great app. Sign up to hear about updates about my app projects, test automation and how building my app business progresses week by week.